An important part of my job as a Michigan driver’s license restoration lawyer is determining when a person can and when he or she should file a license appeal. In 2 very recent articles, I examined the whole idea of needing a license and the distinction between being able to file the case as opposed to ready to win it. Usually, it’s just easier to skip all of the analysis of eligibility and have me read over a driving record. I ALWAYS do that for free. All I need to know before I look at a record is whether or not the person has quit drinking. If you are unsure about your eligibility to file a license appeal, the advisability of doing so now, or doing so sooner, rather than later, you can just bypass all the confusion and send me your driving record. I can look over the most complicated record there is, and in a few minutes know exactly what to do, and when. In this very short article, I want to take a quick look at driving records in the context of Michigan Secretary of State Administrative Hearing Section (AHS) driver’s license restoration and clearance appeals. Getting your driving record is not hard, but if there is one big point I want the reader to take from this article, it’s that you should always – and only – get an official driving record through the Michigan Secretary of State. DO NOT, and I repeat here – DO NOT ever get your driving (or criminal) record through any online service other than that offered by the State of Michigan. The SOS charges $9 if you mail in the request form, and $8 if you show up at a branch office to obtain a copy of your record. This isn’t about money, though, because even though all the “services” out there charge more than you’d pay for an official copy of your record, they very often provide inaccurate and/or incomplete information on those records. Understand that every official action that affects your driving record, meaning every bit of information accessed or submitted by a police agency, court, or the Secretary of State itself is obtained from or placed upon your official state driving record. This means that everyone who matters uses and reads the official format of your record. No one in any official capacity will ever look at or use anything other than your official Michigan Secretary of State driving record. 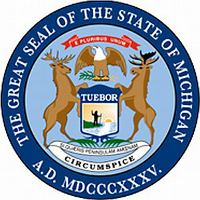 Every non-official record I’ve ever seen comes from a national company, meaning that they take Michigan’s information and instead of understanding or using the state’s legal and technical terms, will instead apply generic terms used elsewhere as they try to reassemble and understand what’s on the official record. To me, that’s like having the option to buy the official HD Blu Ray of your favorite movie for $9, or a crappy bootleg copy of it for $12. About the best example I can use is that in most states, driver’s licenses are issued by a DMV, or Department of Motor Vehicles. In Michigan, we don’t have that; instead our equivalent of a DMV is the Michigan Secretary of State. And while I go along with the flow and, like everyone else, use the term “DUI” for a drunk driving, the offense in Michigan is technically called OWI, or Operating While Intoxicated. We do not have any such offense as DUI, DWI, DUIL or OUI in Michigan. Given that pretty much no other state except Michigan uses the term OWI for drunk driving, it’s not surprising that these internet driving record operations use the more common, but incorrect terms like DUI and DWI on their reports. In the real world, that’s about as helpful as getting the assembly instructions for the a completely different product than the one you bought. Getting an official state of Michigan driving record is easy. Because many of my clients have moved out of Michigan and need to file for a clearance of the Michigan hold on their driving record (this involves the identical evidence and process as filing a driver’s license restoration appeal), they can’t just walk into a Secretary of State branch office and buy a copy in person. Even so, the state makes ordering one online very easy. The only difference is that it can take a few weeks to get it, whereas anyone who purchases one in person will get it right then and there. The SOS provides instructions on how to read a driving record. Anyone interested in trying to decode what can seem like a tangled web of confusion and mystery should give it a try, but for my part, the ONLY interpretation of a driving record I trust is my own, or one related to me by Ann, my senior assistant. Like me, she’s read more driving records that you could count. If you are wondering about your eligibility to move ahead with a Michigan driver’s license restoration or clearance appeal, it is always advisable to get a driving record. Even when someone is eligible to proceed, I will need a copy of that driving record at our first meeting, so there’s no sense in waiting to get a copy. For all of that, if I do take your license appeal case, I guarantee that I will win it. This means that a new entry will be put on your official driving record: The reinstatement of your driver’s license. When you’re ready to get back on the road, and if you’ve really quit drinking, give me a call. My office is open Monday through Friday, from 8:30 until 5:00. We’re here to help, and can be reached at 586-465-1980.